Bones Speed Cream is a high temperature, low viscosity synthetic skate lubricant specially formulated by Bones to reduce friction, and provide a durable micro film of lubricant to protect against corrosion. 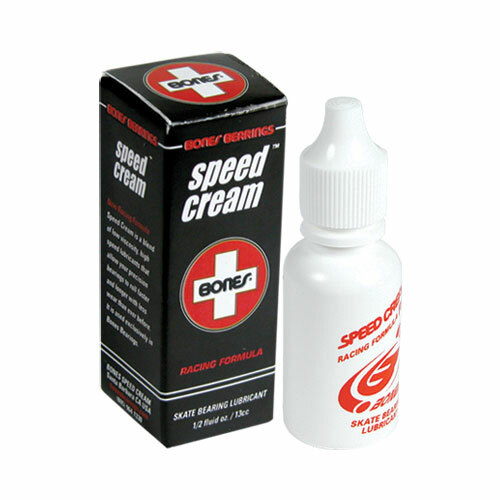 Speed Cream makes your bearings faster and is very long lasting. Contains 14ml.